Its $75 to drive the FNDP. Register using the PayPal button below. Online Registration ends 8/6/15 at midnight. We are also having a small clinic on the road course during the day. There are 10 spots available. It’s $150 for the clinic. Registration will stay open until it is full which usually doesn’t last long. It starts at 9AM and we will be doing stuff all day. Then you guys can also drive at the night event. This is a great chance to get some good seat time and learn a lot of things. Cars must pass tech. The clinic is not a spectator event, tell your friends, old lady, etc to come and watch you drive after 5PM. Select the clinic option on the paypal button below to sign up. Update: 8/3/15 – Clinic is full. 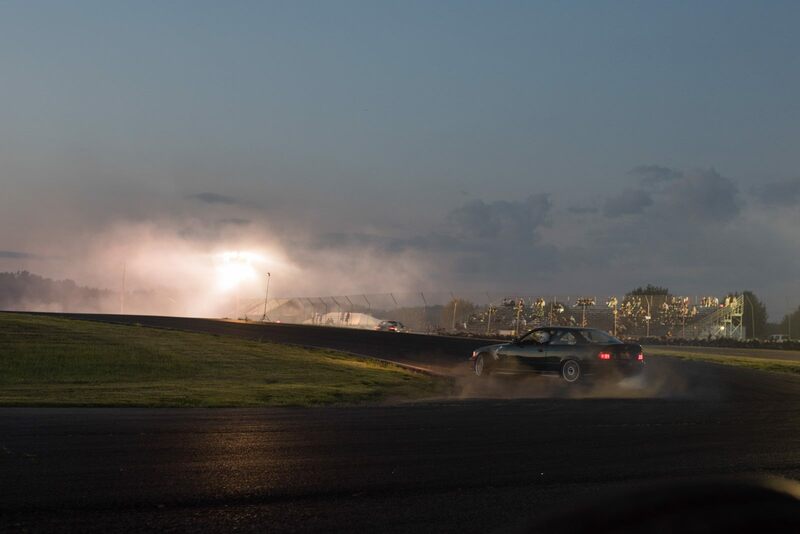 And finally, remember to tag your Instagram posts of you getting ready for the track or working on your car or driving at the track with #godrifting and #clubloose, maybe #FNDP and #clubloosemakestheworldtakes and #greatestplaceonearth and #listentoclubloose too. And then visit Go Drifting or Go to Hell! to see what everyone else is up to.